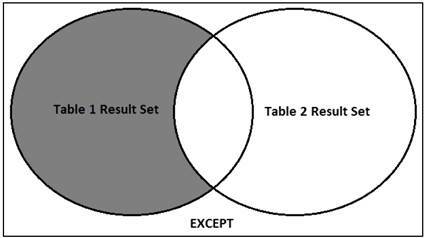 There are several for creating queries that return data from multiple tables. The one you choose depends on your data retrieval requirements and the underlying structure of the database. 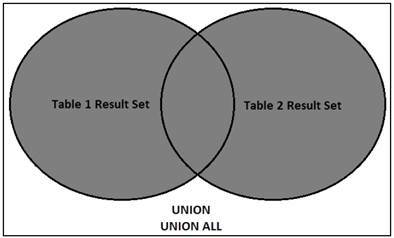 In this three part article series, I will demonstrate how to combine data from multiple tables by using UNION, INTERSECT, and EXCEPT. You’ll perform advanced queries by using joins and subqueries. You’ll learn that SQL Server supports inner joins, right outer joins, left outer joins, and full joins. You’ll use subqueries to break a query into logical steps. You compare correlated and noncorrelated subqueries and saw when it is appropriate to use each. The statements combined must have the same number of columns and compatible data types. The column names from the first statement are used as headings for the result set. Include the ALL keyword if you do not want UNION to remove duplicates. Only the last statement in the UNION operation can have an OPTION clause. • The queries must have the same number of columns in the SELECT list. • The columns must be listed in the same order. • The data types for the columns must be compatible. A subquery is a query that is nested inside a SELECT, INSERT, UPDATE, or DELETE statement, or inside another subquery. You use subqueries to break a query into logical steps. By using subqueries, you can often solve a complex data retrieval or modification problem with a single statement. You use subqueries in situations in which a query depends on the results of another query. Subqueries typically aren’t the most efficient way to retrieve data. Whenever possible, it is suggested that you use joins rather than subqueries. 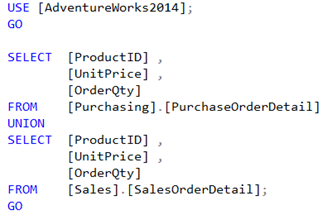 SQL Server supports noncorrelated and correlated subqueries. 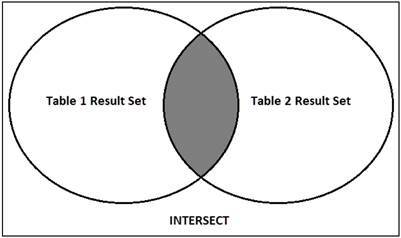 • In a noncorrelated subquery, the inner query is independent and gets evaluated first, then passes results to the outer query. A noncorrelated (independent) subquery can be independently evaluated and relies only on its own SELECT clause for instructions. • In a correlated subquery, the outer query provides values for the dependent inner subquery evaluation. 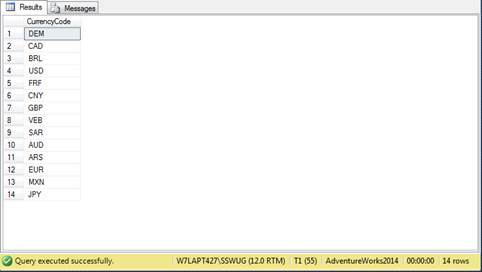 SQL Server passes the subquery results back to the outer query for evaluation. 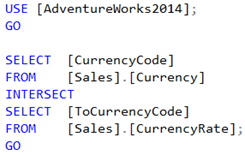 A correlated (dependent) subquery receives values from the outer SELECT. General subquery flow is shown in the following diagram. In this example, the inner subquery locates the list price for specific product and then passes this out to the outer query. The outer query uses the list price to retrieve the product names for this list price. The outer statement is a standard SELECT statement. 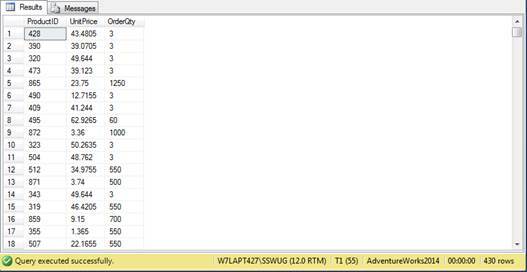 All you have done is replaced part of the WHERE expression with a subquery.